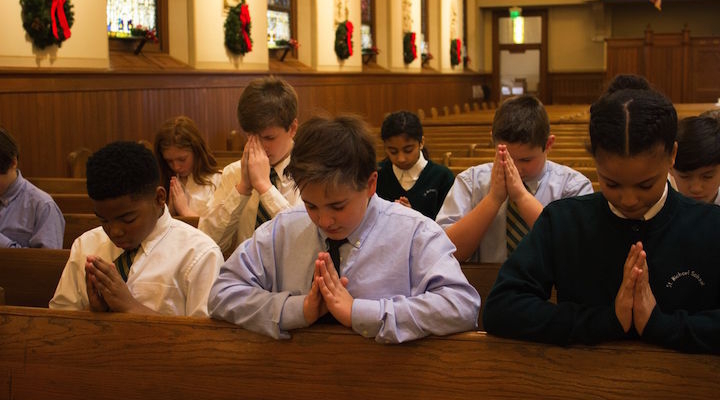 Our students and faculty attend Mass every Wednesday throughout the year. Students participate in the school liturgy as lectors, altar servers, music ministers, and gift bearers. Throughout the school year, students participate in Reconciliation services. Also, students participate in Living Nativity and Living Stations of the Cross services. The Parish communities of St. Michael the Archangel and St. Clement Mary Hofbauer invite all families to consider full initiation into the Catholic Church.